If your like me, sometimes it seems like always putting forth your best effort is hard to come by. I’ll be the first to admit, sometimes I don’t feel like making the most of my days and that’s when I tend to reach for a little motivation. To me, seeing someone that truly WORKS HARD and is PASSIONATE about everything from their job to training time in the gym is a huge source of motivation to me. Tim Tebow is a HUGE inspiration to me. You don’t have to like the guy on the field and as a player but he demands a high level of respect off the field. 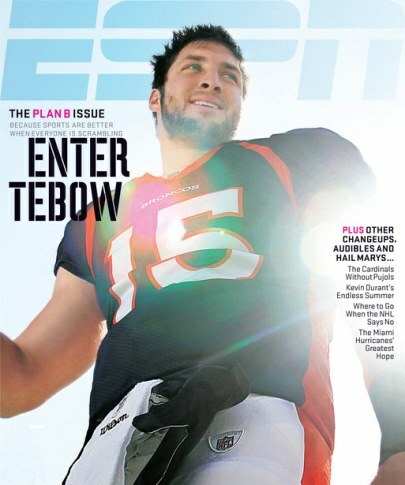 From his work habits to his passion in everything he does, Tebow speaks volumes about the person I want to become. HARD WORKING in every since of the term. He’s not the best, but he trains to be the best. He’s not liked by everyone, but that doesn’t stop him from pursuing his goals. When I step in the gym I’m far from the strongest, leanest, most ripped guy…but I PROMISE there is no one working harder than me.